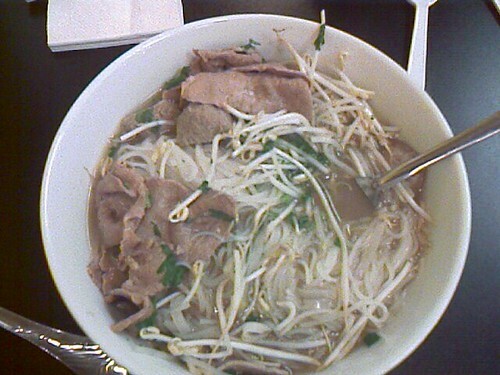 FOODIES » Blog Archive » Pho Time! Whenever it’s cold like this I start craving pho, my most favorite soup in the world — well, besides the broccoli and cheddar at Panera. I mowed down this one at Tsunami. It was actually better than the last time. I love Tsunami. Their food just gets better and better! This entry was posted on Tuesday, December 16th, 2008 at 7:58 pm and is filed under Soups. You can follow any responses to this entry through the RSS 2.0 feed. Both comments and pings are currently closed.